No big bang? Yes, big bang. Did the big bang really happen? Yes, despite recent claims to the contrary. A new paper in Physical Letters B has the popular press wondering if there was no big bang, but the actual paper claims no such thing. The big bang is often presented as some kind of explosion from an initial point, but actually the big bang model simply posits that the universe was extremely hot and dense when the universe was young. The model makes certain predictions, such as the existence of a thermal cosmic background, that the universe is expanding, the abundance of elements, etc. All of these have matched observation with great precision. The big bang is a robust scientific theory that isn’t going away, and this new paper does nothing to question its legitimacy. That doesn’t mean there aren’t unanswered questions about the big bang. For example, simple big bang models show that if you go back in time far enough, there is time when the entire universe was an infinitely dense singularity. This singularity would mark time zero for the cosmos. As many of you know, singularities are problematic, and they tend to stir up lots of debate. That’s where this paper comes in. The paper presents a big bang model without an initial singularity. It does this by looking at a result derived from general relativity known as the Raychaudhuri equation. Basically his equation describes how a volume of matter changes over time, so its a great way of finding where physical singularities exist in your model. But rather than using the classical Raychaudhuri equation, the authors use a variation with a few quantum tweaks. This approach is often called semi-classical, because it uses some aspects of quantum theory, but isn’t a complete quantum gravity model (which we don’t have). You can have a big bang without a beginning. Credit: Ethan Siegel. While this is an interesting model, it should be noted that it’s very basic. More of a proof of concept than anything else. It should also be noted that replacing the big bang singularity with an eternal history isn’t a new idea. Many inflation models, for example, make similar predictions. But none of these ideas eliminate the big bang, which is an established scientific fact. I wonder if the universe is expanding at the same rate as all the new life, experiences, memories, planets, moons, suns etc are created? What if every single event in the universe requires a little bit of space and so to accommodate this the universe expands to allow room. A bit like a computer hard drive. New files and documents are saved which takes up storage space. New hard drives are added to the storage cluster and so the directory becomes larger and larger…..
You are forgetting to consider the principle of conservation of matter and energy in your proposition. Even if the universe came out of a singularity the matter and energy had to be previously stored somehow and planets, mass, etc are not being created out of nothing. But Krauss means to say Nothing is not really nothing but Something! Hello. Sorry, daft question for you. I have not read Krauss’s book but ‘nothing’ need some definition. In common parlance nothing tends to be the absence of something such as ‘there’s nothing in the cupboard’. But nothing in this case is empty space. 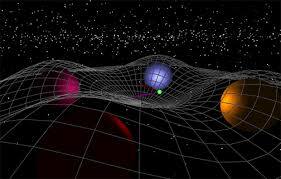 According to physicists, empty space, from general relativity (lay explanation) is a deformable space-time geometry. In a sense, an object, in its own right with properties rather than just a lack of matter. Physicists also describe, at the microscopic scale, a quantum foam of virtual particles apparently popping in and out of existence on the basis of probability. Not nothing either. So, presumably, if you want a strict definition of ‘nothing’ then it would have no definable properties, could therefore not be mathematically modelled and not observed experimentally. But, materially speaking, if you can’t describe it or observe it by any means it can’t be said to exist. Further, science makes observations of a system as it evolves over time and then models it. Even if there was a non observable earlier state, presumably you could extrapolate from the observable states using your model revealing its structure. Structure, is assumed, is begot from structure. There is a principle applied to black holes used to challenge Hawkins’s radiative model, the conservation of information. It seems to mean that structure begets structure. How can you go from no structure (nothing) to structure? Logically, it does not make sense to me that the universe has a non existent state (or nothing) and so must be eternal in the sense of being persistent rather than necessarily temporally eternal (presumably the universe does not require the quality of time to exist). So, strict nothing cannot logically or physically exist. So, in a sense, the reason why the universe exists is because it cannot not exist. Hopefully, this comment is not too much of a muddle. Language does not seem to lend itself well to this topic. Perhaps, Wittgenstein was correct, ‘Whereof one cannot speak, thereof one must be silent.’ Of course this could be completely wrong. The universe is beginning to look a lot more like cellular automata, where local interactions conform to more global rulesets. Thats my take on Pilot Waves anyway. As a unmitigated layman, could our universe’s Big Bang be an implosion of a previous universe? There are ideas that the universe could be cyclic, and that a big crunch could lead to a “big bounce” producing a subsequent universe. 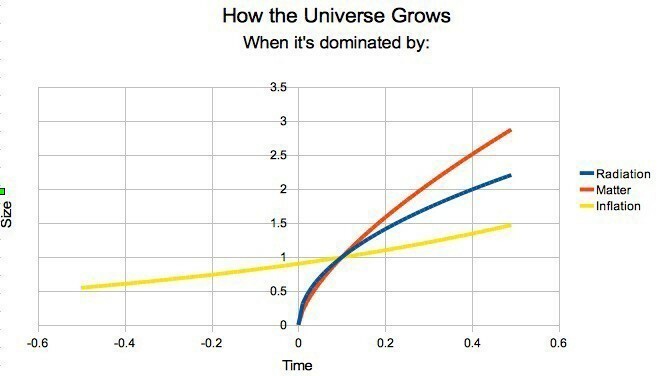 After it was shown that the universe is not only expanding, but increasingly expanding, that idea lost popularity. Maybe not a cyclic model, but what about branching models where a big bang might be what the formation of a black hole looks like from the inside? Here is the problem with the “always existing Universe”: Why is there less hydrogen today than there was 13 billion years ago? Why is it when we look as far back into the past as we can we don’t see any particles more massive than helium? What we know is that Universe sprang from something; how, why, and what are all purely conjecture and mathematical modeling at this point. The sentence “For example, simple big bang models show that if you go back in time far enough…” pretty much says it all. You can’t go back in time “at all” so there’s no such thing as “far enough”. It’s simply hilarious that the Big Bang is asserted as having started with a form of physics that is completely unknown, and to validate it we have to use “dark energy” that is equally unobservable and unmeasurable. Even the CMB is not at the originally predicted level. Scientists will say “close enough” so they can declare victory, but what if the CMB is telling us something else? We’re not supposed to shoe-horn the observation into the hypothesis, otherwise we’re just victims of our own confirmation-bias. If the level is not the predicted one, the hypothesis is falsified. Scientific Method 101. What we really have here are: Dark Matter: a form of matter that does exactly what we need for it to do, to explain the universe and its anomalies – Dark Energy: a form of energy that does exactly what we need for it to do to explain the universe and its anomalies – Big Bang – an event comprised of activities that are exactly what we need them to be in order to describe the universe around us. There is a running theme in all that – they are rescue devices at best – special pleading at worst. This makes it nothing more than a “thought experiment”, and judging from the prior responses (which have their own thought-experiment speculations written all over them) everyone seems to agree that the Big Bang is “what we want it to be” and therefore it must be true. “Go back in time” was meant figuratively, not literally, though I suspect you knew that and just want something to complain about. Just to be clear, dark energy is both observable and measurable in its effects. The same is true for dark matter. Interestingly, the initial prediction about the CMB temperature being 5K was based upon observations of the Hubble constant available at the time. We now have much better measurements of the Hubble constant, and if you use them in the original argument you get complete agreement with the observed temperature. “The sentence “For example, simple big bang models show that if you go back in time far enough…” pretty much says it all. You can’t go back in time “at all” so there’s no such thing as “far enough”.” It’s a figure of speech dumbass. As for dark matter…can you explain what is causing the universe to accelerate? So what are the requirements for joining the conversation? How about not making wild claims like the universe is a beating heart made of dark matter. I’ll generally delete strange claims that aren’t relevant to the topic of the post. Strange claims? All of this is strange since we have no way of knowing the facts. Yes, I can kick my brain into neutral and come up with all sorts of ‘crazy” ideas. It’s called imagination. I suspect you also have an imagination, or you would be working in a different field. No hard feelings. Beyond the Big Bang –“Is a Fundamental Rethink Required? No, dark energy and dark matter are not observable and measurable. What is observable and measurable is redshift. From measurements of redshift are inferred that stars in the periphery of galaxies do not move the way they should according to theory (they move faster), and that distant galaxies do not move the way they should according to theory (they accelerate, assuming the interpretation of cosmological redshift as relative motion is valid). Redshift is measured, then interpreted according to assumptions, then when these interpretations disagree with theory it is hypothesized that some unknown kind of matter (dark matter) and some unknown substance (dark energy) are responsible for the discrepancy between theory and interpretations of measurements. An hypothesized entity invoked to account for the discrepancy between theory and interpreted observations/measurements is neither observable nor measurable, until other independent evidence is found for its existence, which is not yet the case with dark matter and dark energy and might never be. You’re basically arguing that model dependence invalidates the conclusions, but that’s not how it works. Dark matter and dark energy are not only observable and measurable, they make specific testable predictions when have subsequently been confirmed. If you go back and actually read the posts I’ve linked to you’ll see this explained. Making the “just a theory” argument is weak tea. I explained why dark matter and dark energy are not observable/measurable for now, you claim the opposite but you bring nothing to back it up. What are these “specific testable predictions which have subsequently been confirmed” you are referring to? The anomalous galactic rotation curves weren’t a testable prediction of dark matter since dark matter was precisely invoked to account for them. The acceleration of the universe’s expansion wasn’t a testable prediction of dark energy since dark energy was precisely invoked to account for this. Dark matter/energy are hypotheses that are yet to be verified by experiment. Modifying the theory can account just as well for the observations/measurements that were responsible for spawning dark matter and energy in the first place. Until they are actually detected it is wrong to claim that they are observable and detectable. Neptune used to be an hypothesized planet to account for the anomalous orbit of Uranus. Before its discovery it wasn’t “observable and measurable”, it was an hypothesized entity, and modifying Newton’s equations could fit Uranus’ orbit just as well. Only after its actual observation did Neptune become “observable and measurable”. In other instances the hypothesized entities turned out to not be observed and the theory had to be changed, which is what may eventually happen with dark matter and dark energy. Dark matter was proposed to account for the galactic rotation curve in the outer Milky Way and makes specific predictions about the universe. Prediction: A similar effect should be seen in the central region of our galaxy: Confirmed. Prediction: On the largest scales, galaxies should cluster at a specific level: Confirmed. Prediction: The cosmic microwave background should have fluctuations at a specific scale: Confirmed. Here’s some posts on dark energy. Dark energy was proposed to account for changing redshifts in distant supernovae. (Actually it is a consequence of general relativity, but I’ll let that slide.) It also makes specific predictions about the universe. We’ve long since moved beyond proving the existence of dark matter and dark energy. We’re now specifically focused on the details of those models. What drew me to write this comment was the phrase, included by the author of the article, “scientifically established fact”. No true scientist or critical thinker would use such a phrase. History is filled with examples of so-called “facts” which were later regarded as false or inaccurate. In the same vein, critical thinkers have learned to replace what used to be labeled scientific “laws” with the word “theories”, recognizing that most of what we think we know is incomplete and will be superseded by new evidence. A “scientifically established fact” is subject to new evidence as we find it, but at the same time it is not tentative or uncertain. Scientists use fact, law and theory all the time. I’m a Physics major and we still to this day use Hooke’s law, Boyle’s law, Newton’s Laws of motion (perhaps you have heard of those very well known and established laws? ), etc, so your statement of replacing “laws” with “theories” is false. Oops meant to reply to Hank’s comment, not yours Brian. Sorry about that. Hooke’s, Boyle’s and Newton’s law simply describe repeatable phenomena. In the case of cosmological theories, it doesn’t matter how many predictions are confirmed, you cannot eliminate the possibility that another theory is a better explanation. The point is that theories are fine, but calling them facts is questionable. And by that reasoning the “fact” that the Earth is round is just a theory. It’s an idea that’s worked so far, but we can’t eliminate the possibility that another theory is better…. Facts in science are usually taken to mean “empirical evidence” There is thus a large amount of empirical evidence, i.e. there are a lot of facts, that support the big bang theory. Some of these are pointed out in your article above. However it is absolutely false to equate a well supported theory with the facts that support it, and borderlines dogmatic. The purpose of doing science is to find holes in a theory by finding facts that aren’t accounted for by the theory, so to come up with a better theory, and calling a theory a fact completely misses the point. There are lots of facts that support the round Earth theory. However it is absolutely false to equate a well supported theory with the facts that support it, and borderlines dogmatic. The purpose of science is to find holes in a theory like the round Earth model by finding facts that aren’t accounted for by the theory. Calling the round Earth theory a fact completely misses the point. Most people would consider the idea of a round Earth to be sufficiently supported by evidence to consider it a fact. Most astronomers feel the same way about the big bang. Does this new paper bring back Hoyle’s oscillating universe ? No, this is looking at one aspect of the standard big bang. Thanks for continuing to take on the nonsense spouted by the popular media’s ridiculous reporting of science, Brian! but i can’t understand the image above .. how the inflation precedes the existence of matter ? and are this model violate the second law of thermodynamics (transformation of usable energy to unusable energy) ? So, if I understand the inference underlying your article, the paper assumes the laws of physics existed before the Big Bang and were not created by the Big Bang, as is popularly presented in productions like “How the Universe was Made”. Since, according to your understanding of the paper, the universe “collapsed” into existence from its pre-Big Bang quantum fluctuation state, my question is: What might have caused that “collapse”? “Collapse” in this sense is a pretty simplistic take on it. Usually people think of a quantum system “collapsing” when it is “observed” following the Copenhagen interpretation. In general you don’t need a cause to become a classical state, and even the division between classical and quantum isn’t always clear. In this case the paper just uses a quantum approach to eliminate the singularity. The short answer (assuming this approach is valid) is we don’t know. I have just one question. What are the implications? We still have the same universe with this method, just some different insights. No more singularity at the “big band” (is a bang really big without a hint of infinity to it? lol) but the same universe originated from quantum fluctuations, but without a begging, just what it seems like an infinite nothing before. But what does this model predict? What fluctuated into a big bang (and the universe as we know it). What about inflation? What about heat death? And black holes? This is a small paper focusing on just one aspect of the big bang model. It isn’t trying to answer all the big questions of cosmology. With regard to an aspect of Scott’s question – is it correct to understand this paper as saying, in part, that the laws of physics existed before the big bang? And that is somehow not a contradiction? Is it at least possible that the universe was created out of nothing? It seems like that is what we have observe but too many people don’t want to allow that it could have happened that way. There are models that look at the universe starting from “nothing.” This work is only focused on the singularity, though. The gravitational wave experiments are looking at early cosmic inflation, which is one aspect of the big bang model. These experiments may settle the issue of inflation, but the big bang is already settled. With regard to Bill and [an aspect of Scott’s question] – is it correct to understand this paper as saying, in part, that the laws of physics existed before the big bang? And that is somehow not a contradiction? And how do we have inflation before time and, therefore, before cause and effect itself? Hi Brian, Is it really true that the singularity point first proposed by Penrose and Hawkings has been rejected by most of current cosmologists? Is the Big-Bang theory outdated? What are the Physics and Mathematical grounds to confirm this? Underlined Physics and Mathematics, not Philosophical!! I appreciate your feedback in simple language as I am just an engineer, Thanks!! Most cosmologists figure the origin of the big bang is a bit more subtle than an absolute singularity. That doesn’t mean the big bang is outdated. 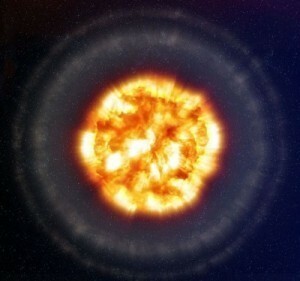 Typically the big bang today refers to the early hot dense state independent of whether there was a singularity or no. Thanks for your reply Brian. Sorry but I thought that in order to have a big bang a singularity was required. Could you explain how can there be a big bang without a singularity? I thought precisely the big bang was the sudden explosion of that point of singularity where all the matter was concentrated. Is this concept of big bang not anymore valid? Was the big bang not just a big explosion but also a unique event when time and space were created? If that is true, does it make sense to talk about time “before” the big bang? Does the “inflation” process has a physical and mathematical ground or it is just a philosophical concept to get rid of the point of singularity? Conservation of energy only applies to a closed system. Do we know for sure that the universe is a closed system? Science should be about observing and recording. Everything else is just theory. Politics and self-interest has entered science as in every walk of life, so we have cliques, societies, positions, Nobel prizes etc. People have lots to lose, and the actual science suffers. I can’t see how a void, how empty space, can “bend” or dilate. It’s just bad science. You can do absolutely anything mathematically, but what’s that got to do with science or reality? could it be that there is such a thing as more nothing than nothing. that could explain it maybe. It seems our ‘observation’ is a factor in many, if not all experiments. Our knowledge seems to be expanding at an exponential rate. As our observation expands, so does the universe – both at an accelerating rate. A coincidence? Or related? Brian Theoretically My Analogy is we came from a black hole like other universes come from .Yes a bang is apparently there as the particles and gases come out in the direction it’s going now,those particles and objects came together and made worlds and stars. Believe it or not by Robert Norton A Old Friend that has followed your work for quite some time professor and you have hit Forbes and are not affraid to teach as far as middle East Arnab Irfan or old friend and many more of our Allie’s. But all is brilliance by the best your top of the list ….. Thanks for your opinion. Stick around if you’d like to learn more. Jacob, is it really necessary to make ad-hominem attacks/comments like “dumbass”? Who’s the dumbass anyway – maybe you. To imagine the entire universe massive as it is, reduced to a singularity, an infinitely small point requires a leap of blind faith. Not science. Whether the big bang began as a singularity is still up for debate. But there is plenty of evidence for a big bang origin, meaning an initial hot dense state. Does proposing that there was no beginning make time meaningless? No, you can mark time based upon an arbitrary event. You don’t need an absolute starting point to do so. Same as space, where relative distance is still distance. What is the universe expanding into? I mean, if it’s getting bigger, there must be a space for it to get bigger. If you have a large box and begin to inflate a balloon, the balloon can only inflate to the inner dimensions of the box. But if there’s space for the universe to expand, doesn’t that mean the space is not part of the universe? My brain hurts, lol.